Smoothies are so versatile! There are so many ways to make them, so many delicious combinations of foods to include. I drink at least a quart of green smoothie a day, every day of the year, and wanted to share with you why I take care to use seasonal ingredients when possible. 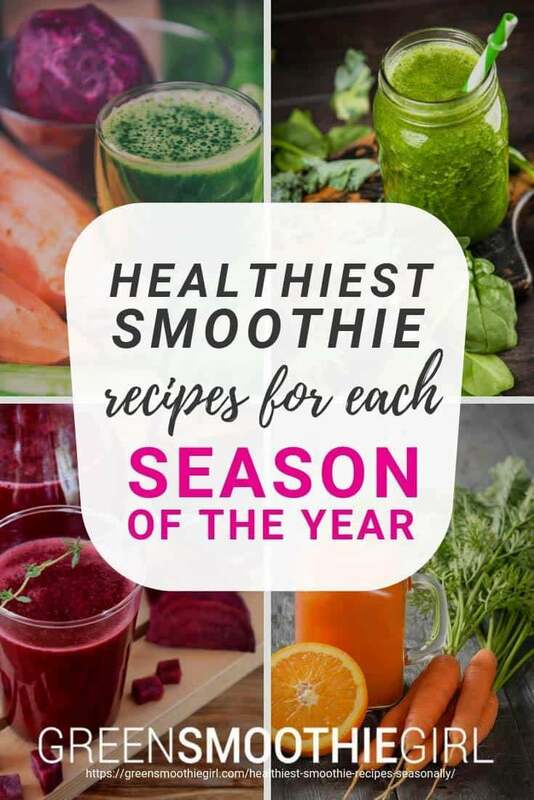 I’ll also share my favorite healthiest smoothie recipes for each season of the year! Green smoothies are my favorite way to get 10-15 servings of fruits and vegetables into a single meal–a feat that would have you chewing forever if you ate them separately or in salad! 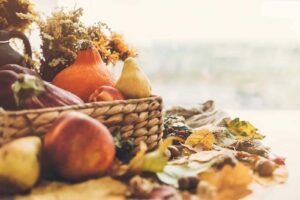 And you can ramp up the already massive nutrition–and reap a number of other benefits–by paying attention to the time of year you’re eating certain foods, especially those grown locally. 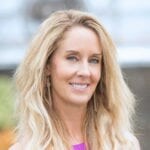 This practice also lines up with the ayurvedic principle that we are genetically programmed to need and respond to the foods grown in that season. Visiting farmers’ markets is a great way to find ingredients for healthy smoothie recipes. When food is in season, it’s much more available to find locally––not just from farmers, but at the grocery store, too. Oftentimes food has to travel long distances before it reaches the produce section at the supermarket, and in the time from when it’s harvested to when it gets to your plate, its nutrients have been depleted. Local food, of course, doesn’t have to travel far, so you can get it while it’s still nice and fresh. Think about tomatoes in January vs. fresh-picked tomatoes in July––the flavor is unmatched in the summer. Same with fresh berries; have you ever tasted a blueberry while snow was on the ground? It’s usually gritty and unappealing. Crops that have been allowed to ripen naturally taste infinitely better than those that have been picked unripe. 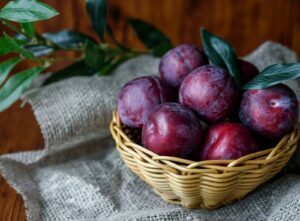 When fruits and vegetables are picked before they are ready, they are chilled during transportation and then ripened artificially with chemical gases, and this process used to transport product internationally affects the flavor and texture. Out-of-season fruits and vegetables are priced high because of how far they have to travel, the storage they require, and their limited availability. It’s not uncommon to see a pint of organic berries cost upwards of $10 in the winter. When produce is in high supply locally, the cost goes down, and we can enjoy healthy meals in abundance, even on a budget. Small, local farmers often use organic practices, but may not be labeled organic if the cost of the certification is higher than they can afford. When you buy in season and locally, you can chat with vendors at farmers markets to see what kinds of pesticides, insecticides, and/or herbicides they are using. Traces of pesticides and other chemicals on your food don’t belong in a healthy smoothie. Out-of-season produce generally has to come from other countries with a different climate, and getting answers about how the food is grown is nearly impossible. 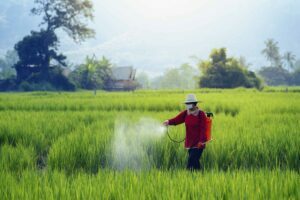 If the farms are overseas, pesticide usage may be regulated differently than it is in the US. While many European countries, like Sweden and Finland, have banned certain chemicals or GMOs, others have more lax guidelines. Many foods have to be irradiated, as well, on their way into the US. The only way to know about potential toxins with more certainty is to talk to local sellers when you’re buying seasonal foods from them. Supporting local farmers isn’t just great for the local economy, but it supports a better environment for all. 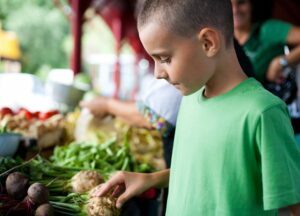 Buying local means you’re not supporting the transportation, refrigeration, storage, and other needs of out-of-season goods, which has financial costs as well as fuel and energy costs. 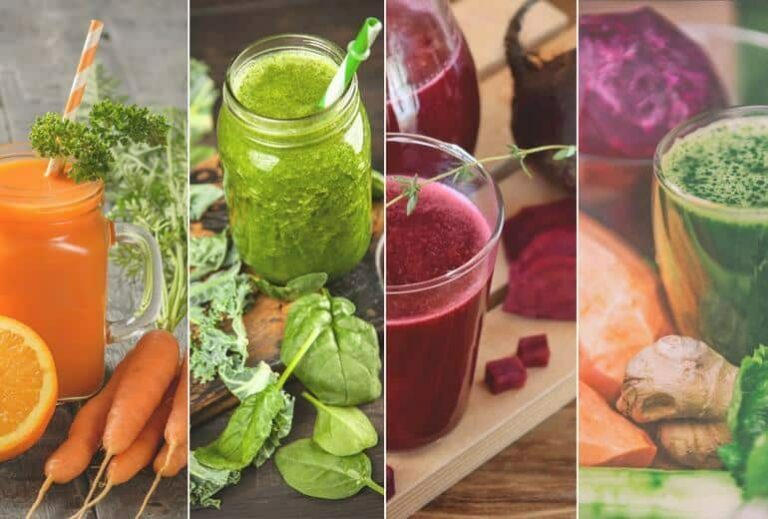 Now that you know why it’s important to eat seasonally and more locally, here are a few smoothie recipes that capitalize on the foods that are ripe during each season. I developed these recipes while I was raising my family, so the yield is larger than just one smoothie, making them great for sharing or for make-ahead meal prep. Your seasonal foods may change depending where you are in the world, of course. You’ll notice that in the following recipes, not every ingredient will always be a seasonal or locally-available one, but the primary focus ingredients are seasonal for most of the U.S.
Springtime ingredients give smoothies a fresh and exciting taste. This is the time of year when everything’s in bloom, many fruits and vegetables begin to become available and we have plenty of new greens to choose from in our smoothie recipes. Add ingredients one at a time and blend till smooth. 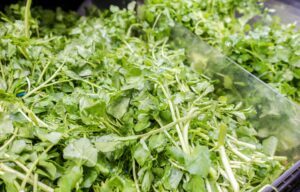 Watercress and other vegetables harvested in summer are powerful ingredients. Blend together in a high-speed blender till smooth. Blend together in a high-speed blender til smooth. As a plentiful season of harvest, fall is a fantastic time to try new ingredients in your smoothie. Nothing says fall like pumpkin pie, but nothing says health like mixing it with a veggie-packed smoothie! If you can’t find pumpkin pie spice, you can blend your own with a mix cinnamon, nutmeg, allspice, ginger, and cloves. Blend water, ice, beet, and cabbage til smooth. Add in spinach and blend until mixture reaches the 6-cup line. Add in the rest of the ingredients and blend til smooth. Blend till smooth in a high-powered blender. Don’t let the cold weather stop you from drinking your daily smoothie and even getting creative with the ingredients! In colder months, some people are less likely to enjoy smoothies because of their usually cold temperature. But many smoothies are delicious at room temperature or even warmer, so don’t let the thought that smoothies are “cold” deter you from this high-nutrition habit in the winter. 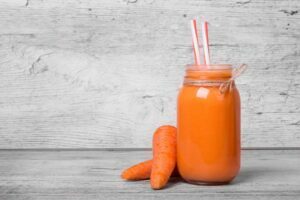 The best ingredients to use this time of year for warm smoothies are root vegetable and winter squash (like sweet potato, butternut squash, and pumpkin), apple, persimmon, and pear, and herbal roots like turmeric and ginger. All of these types of foods will help keep your immune system strong throughout the cold and flu season. Don’t be afraid to try sweet potatoes and squashes raw in your smoothies, as well as cooked. Raw sweet potato, for instance, has every essential amino acid in it. Blend til smooth in a high-powered blender. I hope these recipes will serve you year-round! Remember to make use of locally-available foods as much as possible; your bank account as well as your body will be glad you did. Thank you Robyn for more great recipes and inspiration! Would love to see a list of smoothies that those of us with hypothyroidism (and not able to eat raw goitrogenic foods) could enjoy throughout the year. Thank you Robyn for the Immune-Fuel Hot LemonAid. I’ve done it about three times for my family. Sweet potatoes come in a great variety of sizes… roughly how much (by weight or measurement) should go into the Sweet Potato Smoothie? Hi Lisa, Robyn doesn’t always measure but a medium sweet potato is a good place to start. You can tweak it for consistency if you wish. Hi again Lisa, you can also go by approx. 1 cup sweet potato as a measure for the recipe.